Alternative Rock emerged from the independent music underground of the 1980s. Although the term has most commonly been associated with Nirvana’s grunge and distorted guitar sound, its original meaning was broader, referring to a generation of musicians unified by their collective debt to either the musical style, or simply the independent, D.I.Y. ethos of punk rock. 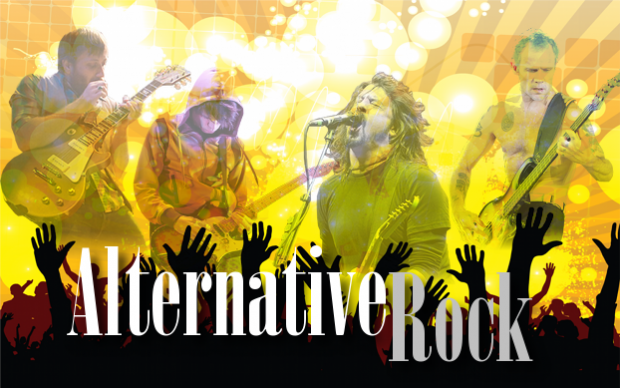 Today, Alternative Rock stations feature a broad variety of music including The Black Keys, Foo Fighters, Jack White, Linkin Park, Red Hot Chilli Peppers, Radiohead, Muse, and The Killers. Promotional activities include local station concerts that sell out on an annual basis, stunts and lifestyle activities focused on Gen X and Y consumers and involvement in national events like Lalapalooza and Coachella. Core Listeners: Alternative Rock stations appeal is more male than female and largley in the the 25-34 age range.